Sever mood swings and behaviour changes are indicators of a mental health condition. Suicide is the third leading cause of death in children and young adults between 10 and 24 years old. People tend to think of mental health as something generally affecting adults; after all, adults lead more stressful lives than children do. However, the numbers show that approximately 20% of the world’s youth suffer from some sort of mental disorder or problem. But, are we talking to our children about it? A recent poll including more than 1,100 parents showed that 55% of them had never addressed the issue of mental health with their children. Whether it was because they didn’t know how to approach the subject or because they felt that it was unnecessary to discuss, children are being left out of the loop. Just like you would address the subject of nutrition, friendship and relationships, it is important to discuss mental health too. This is an important issue, and if your child is suffering, it is important that they know they do not have to suffer in silence. As we’ve mentioned before, expats are at a higher risk of suffering from mental health problems, and this includes your children, too. Children who have left everything they know behind and are having to adapt to new languages, cultures, schools and ways of living can have breakdowns leading to mental health problems. What mental disorders are affecting children around the world? In recent years, scientific research has helped identify that many mental disorders that we see or experience in adulthood actually begin in childhood. The most common form of mental disorder diagnosed in children is Attention Deficit/Hyperactivity Disorder (ADHD). According to the National Institute of Mental Health (NIMH), this affects between 3 and 5 per cent of children globally. The typical behavioural changes to look out for include: difficulty paying attention, hyperactivity and impulsive behaviour. Another very common disorder in children is anxiety. While it’s hard to grasp the idea of an overly-anxious child, it is surprisingly common. This often causes children to feel frightened or uneasy for no reason, causing panic attacks where children are overcome by an intense fear, more often than not, caused by something trivial. Among the most common anxiety disorders are obsessive compulsive disorder (OCD), post-traumatic stress disorder (PTSD) and social phobia. Anything that affects a child’s daily life and social interactions is a red flag, and should be treated as such. Other common mental health problems in children are bipolar disorder, eating disorders, depression, autism and schizophrenia. It’s important to pay close attention to your children’s behaviour as they develop into young adults. Sometimes one might confuse certain behaviours with normal development phases, however, if they persist or you feel concerned about it, you should seek out medical assessment. Mood changes: mood swings are common during puberty as children grow into young adults. It’s common to see children throwing tantrums only to be laughing ten minutes later. However, severe mood swings that interfere in a child’s relationships (home or school) can be an indicator of a mental health condition. Behaviour changes: Drastic changes in your child’s personality can be a sign of a mental health disorder. When behaviour is out of control, they are currently fighting, angry or expressing harm to others you should consider this a red flag. 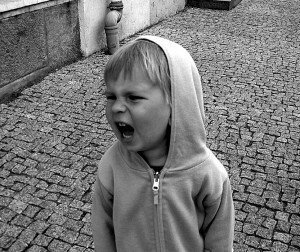 Intense feelings: this is a common reaction in children suffering from anxiety. This often involves feeling incredibly nervous or scared for no particular reason. Low concentration levels: Children have short attention spans, which is why school needs to be a place with constant change and rhythm. However, trouble focusing or staying still while performing tasks can indicate ADHD or other disorders. If you are concerned about your child not being able to concentrate, have a word with their teacher to see if they have noticed anything. Extreme weight loss: not wanting to eat, vomiting or hiding food can be warning signs of eating disorders such as anorexia or bulimia. These are results of mental health conditions, and it’s important to seek immediate medical attention as these can be threatening your child’s life. Physical harm: Mental health conditions can lead to self-harm. If your child has cuts, burns or bruises that have no explanation, it’s important to address this with your child in a sensitive manner. Children who cause self-harm are often having suicidal thoughts or attempting suicide. Substance abuse: Drugs or alcohol can be a child’s way of coping with their feelings. Help your children cope with their feelings; the more you talk about mental health from an early age, the easier it will be for them to deal with what they are going through. Parents and teachers know children best, and it’s up to them to identify a child struggling and displaying signs of mental health disorders. Open the floor for them to be able to communicate, create a healthy parent-child relationship where sharing is not unusual and where children feel safe coming to you for help or advise. If your child opens up about their feelings it will be easier to get early diagnosis and treatment.